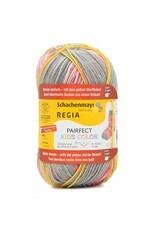 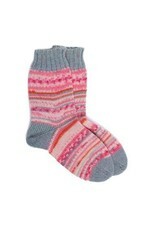 REGIA 4f Pairfect Arne&Carlos Kids - Crochet Stores Inc.
SMC Regia Pairfect Kids Color Design Line by Arne & Carlos 4-PLY - A beautiful sock yarn from the Design Line by Arne & Carlos for knitting cheerful children socks from size 22 to 35. 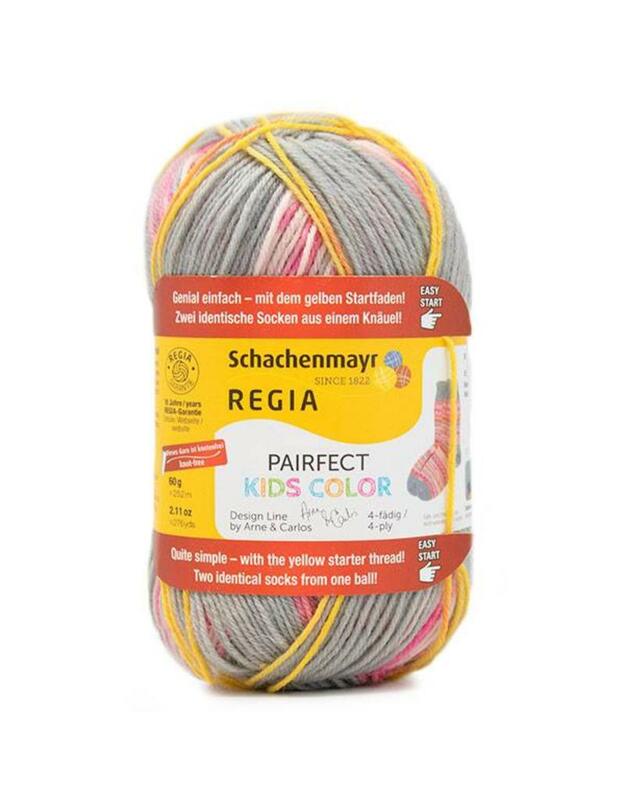 SMC Regia Pairfect Kids Color creates a gorgeous jacquard pattern inspired by Norse designs and is combined with a unicolour for the heel, cuffs and toes. The yellow thread indicates the beginning of a new sock such that knitting a pair of identical socks is super easy.